Please help us get our robot from Calgary to Houston! 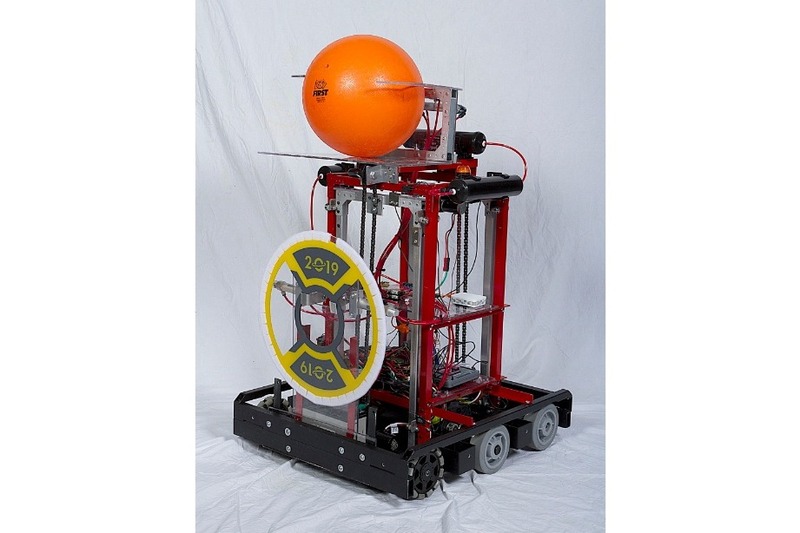 Dear friends, our community robotics team Team 5015 - SWAT Bots, needs your help to get our robot "Warthog" to Houston, TX for the FRC Championship on April 17 - 20, 2019. Hate to be blunt but money is the issue! We only have 10 days to raise the funds we need to pay our entrance fee ($6,700 CAD) and shipping costs ($1,800 CAD) for a jaw dropping total of $8,500. We are doing our part with parents, students and mentors all paying their own way, collecting bottles and emptying their pockets, but we need help to get our robot Wart-Hog there all in one piece and ready to win! Anything helps, so send us what you can from $5 and up, every dollar will go straight to the costs of getting our 'bot to the George R. Brown Convention Center. Alberta Tech Alliance Association (Not for profit) is home to two community FRC teams (5015 SWAT Bots & 4334 ATA) with a mission to inspire youth to become leaders in their community through the challenge of working with peers and mentors to fund, conceptualize, design, build and program a competitive robot. Since January 5, 2019, 54 students and their volunteer mentors have dedicated over 7,000 hours of their time to building robots and competing to qualify for the FIRST (For Recognition and Inspiration of Science and Technology) FRC Championships. 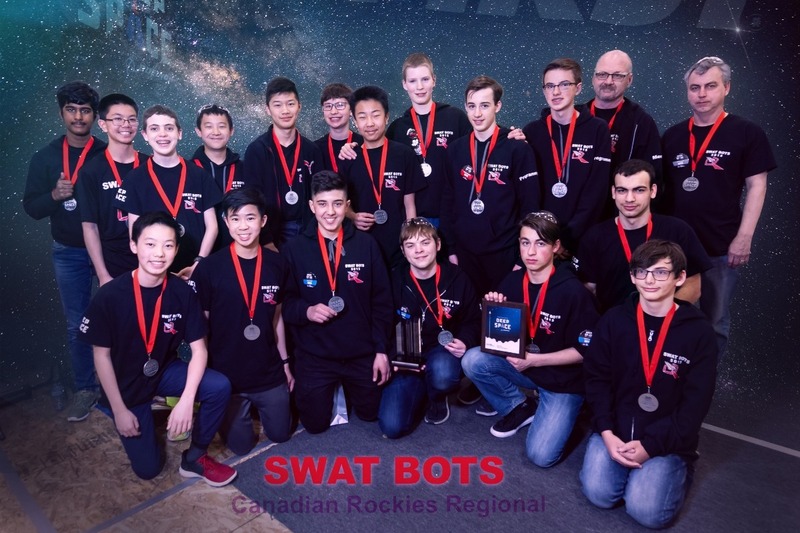 We are proud to report that both teams reached the semi finals at the recent Canadian Rockies Competition, and our team SWAT Bots 5015 went all the way to the finals! While SWAT Bots suffered defeat at the hands of the powerful Team 359 Hawaiian Kids alliance, a wild card generation kept the dream alive and team 5015 and their awesome robot Wart-Hog, are invited to Houston to compete at the FRC Championship April 17 - 20. This coveted event is where over 400 teams will compete to reach the coveted Einstein Field with the best-of-the-best robots! Thank you to all that supported Team 5015 as a successful mission was completed. This past weekend SWAT Bots was able to finish 9th overall in the Newton division and Captained the 7th Alliance thru Eliminations eventually losing to the 1st Alliance. 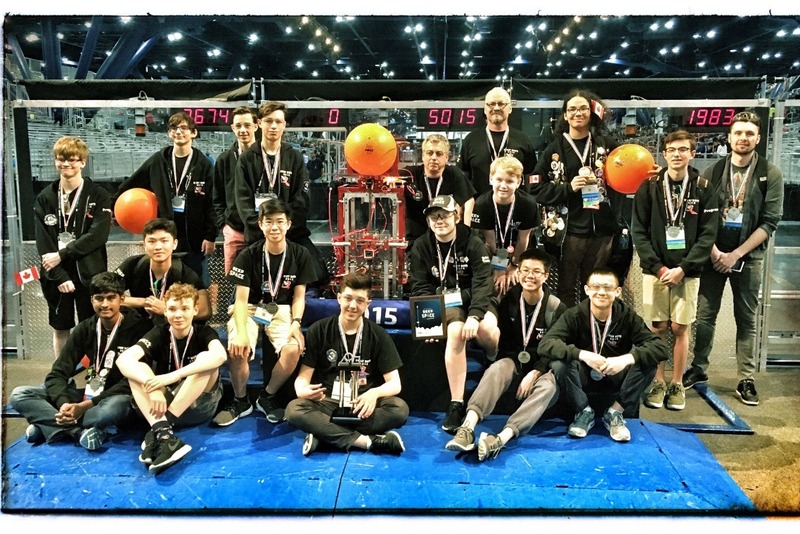 The Newton 1st Alliance went onto the Einstein playoffs and was crowned the overall Champion for the FRC Houston 2019. Team 5015 was able to capture the highest finish ever for a Western Canadian team as Captain of an alliance at FRC Championships. Without your generous donations, they would have not been able to reach "Destination: Deep Space"!